A photo of this woman was in a collection of Lowry and Pepperney family photos from the late 1910’s and early 1920’s but she was unidentified. 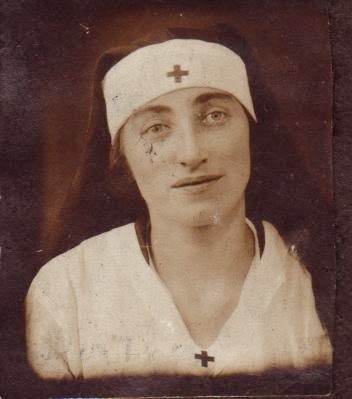 Was she a nurse during World War I or in the years after? I don’t have any answers here but maybe you do. If so, please share in the comments. Thanks!